“Robert Irwin: All the Rules Will Change,” a major exhibition by one of the leading postwar American artists, runs April 7–Sept. 5, 2016, at the Smithsonian’s Hirshhorn Museum and Sculpture Garden. It is the first museum survey devoted to Irwin’s work from the pivotal decade of the 1960s, as well as the first U.S. museum survey outside his native California since 1977. The Hirshhorn is the exhibition’s only venue. A pioneer of California Light and Space art, Irwin (b. 1928) is also a leading figure in broader movements away from discrete art objects in traditional media and toward an understanding of art as a perceptual experience. The exhibition, whose title is drawn from the artist’s writings, consists of two parts. A historical survey chronicles the period from 1958 to 1970, during which Irwin moved from making small-scale abstract paintings to large acrylic discs and columns, before eventually abandoning working in a studio in favor of producing ephemeral installations of modest, unconventional materials, each made in response to the circumstances of a given site. The exhibition culminates in a major new commission in the Hirshhorn’s galleries, where Irwin will create an immersive installation in response to the museum’s distinctive architecture using what has become his signature medium, scrim. 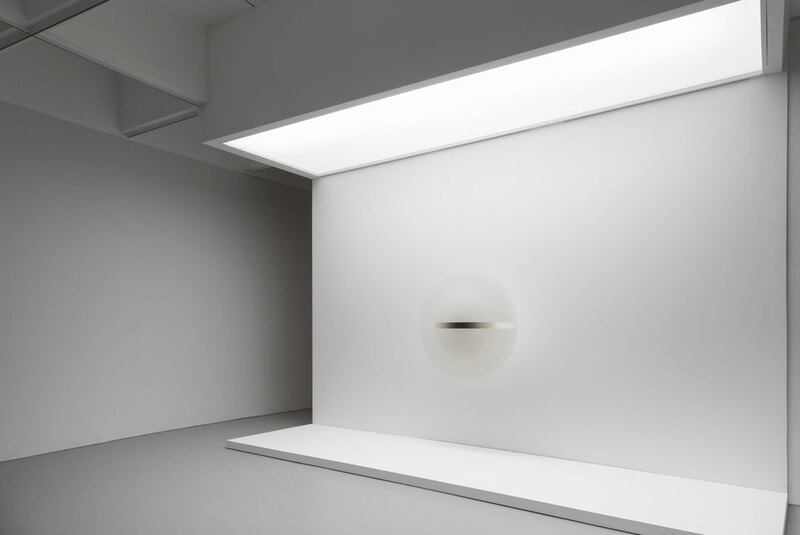 “Robert Irwin is one of the driving forces behind the expansion of the definition of art in the second half of the 20th century,” said Hirshhorn Director Melissa Chiu. “His new installation extends this vital legacy, engaging with the museum’s architecture so that visitors experience our public spaces in new ways. The Hirshhorn is honored to introduce Irwin’s intellectually rigorous and indescribably beautiful work to a new generation of viewers.” “The 1960s is a crucial decade in the history of contemporary art, and Robert Irwin’s investigations into the ways our perceptual processes are shaped and framed were at the forefront of the developments unfolding then,” said Hirshhorn Curator Evelyn Hankins, who organized the exhibition. “The historical portion of the exhibition includes many rarely seen works that, because of their extremely subtle nature, demand in-person viewing. And as both these objects and the new installation demonstrate, Irwin’s art becomes fully present only when you are standing in the physical space, experiencing it over an extended period of time.” As the survey follows Irwin’s inquiry into the nature and experience of art, it proceeds through each groundbreaking series of works from the period: the hand-held paintings, the pick-up sticks paintings, the early line paintings, the late line paintings, the dot paintings, the aluminum discs, the acrylic discs and the acrylic columns. The expansive new installation that occupies the final gallery employs more than 100 feet of scrim to square architect Gordon Bunshaft’s circle in one simple, conceptually elegant gesture. The exhibition will be accompanied by a full-color scholarly catalog, co-published with Prestel, that includes essays by Hankins, Irwin, Matthew Simms, Jennifer Licht Winkworth and Susan Lake.